The faculty of the business administration department represent a wide range of professional backgrounds, from significant academic experience to distinguished business careers. We bring these experiences with us into our classrooms and take advantage of the vibrant Sioux Falls business community for seminars, workshops, guest lecturers and site visits. We continually monitor our academic programs and adopt new learning technologies, case studies and course content as the business environment changes. We never stop asking, “How can we approach education in new ways?” We emphasize small class sizes and serve as academic and career advisors to our students. Many students and professors form lifetime friendships and continue to share their business experiences long after graduation. Dr. Entwistle received her Ph.D. from the University of South Dakota. She teaches courses in management information systems, systems analysis, and computer programming. The primary focus of her research is Human-Computer Interaction (HCI). Dr. Entwistle shares a joint appointment between the departments of business administration and computer science. Shelly Gardner is a native of Sioux Falls. She received both her B.S. in Business Administration and MBA from the University of South Dakota. Her career began as a banker with Norwest Bank in Sioux Falls. During her career at Norwest, Shelly was an operations officer, a manager of two successful branch facilities and a vice president in commercial real estate. The life experiences encompassed in her 20-year career add to the course material that she conveys to students in the classroom. Jason Harris, an Augustana alumnus, received his J.D. from the University of South Dakota School of Law, where he was active on the Moot Court Board. His courses include "Business Law," "Human Resource Management" and "Negotiations." Prior to coming to Augustana, he practiced law in both the public and private sector with focus on representing small business entities, municipalities and lobbying. He has argued several cases before the South Dakota Supreme Court. Laura Hybertson, CPA, joined the Augustana faculty in 2010. Professor Hybertson earned both her undergraduate (BBA-accounting) and her master's (professional accountancy) degrees from the University of South Dakota. A South Dakota native, Laura brings several years of experience as a senior tax associate to the classroom. Her further professional practice included audits of employee retirement plans and nonprofits. Dr. Jaciel Keltgen is an assistant professor specializing in marketing. She received both her undergraduate and master's degrees from South Dakota State University and her Ph.D. from the University of South Dakota. Her research interests include generational behavior in the workplace, particularly job satisfaction in the health care setting. Dr. Keltgen and her students explore marketing strategies employing social media and focus on researching and writing marketing plans for community businesses. Dr. Loren Koepsell '98, assistant professor of business administration, earned his bachelor’s degree with a major in accounting from Augustana and his M.B.A. from the University of South Dakota. He also earned his Ed.D. from USD with an emphasis in education administration. His dissertation is titled “Revenue and Expenditure Breakdowns of United States Regional Private Liberal Arts Colleges.” Koepsell taught computer science as an adjunct professor at Augustana and served the administration in a number of roles until 2007. He returned to Augustana after working as a chief financial officer at Lloyd Companies in Sioux Falls for seven years. 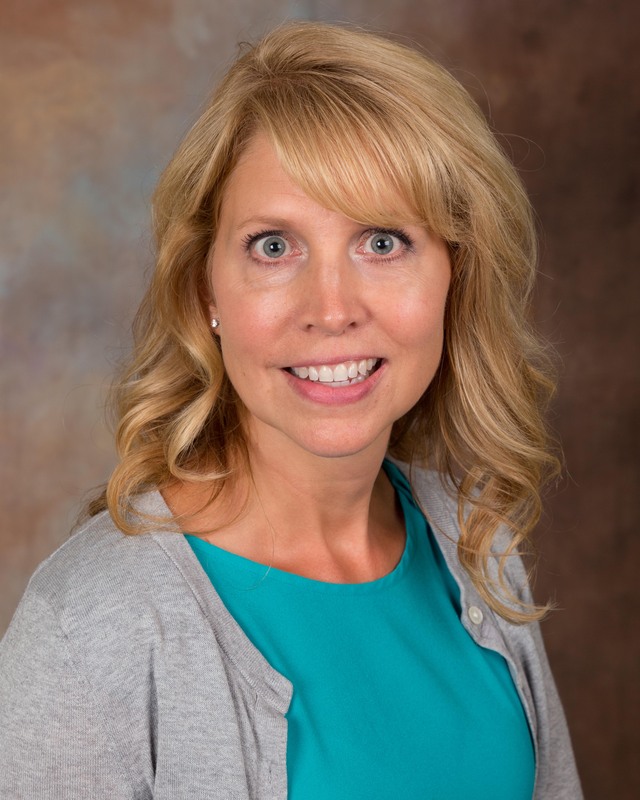 Angela Olson, CPA, joined the Augustana faculty in the fall of 2015 and teaches Intermediate and Advanced Accounting as well as Auditing, and Principles of Accounting I and II. She earned a master's of professional accountancy from the University of South Dakota. Formerly Assistant Corporate Controller at POET in Sioux Falls, Angela managed the corporate financial reporting department, as well as provided training to POET controllers on financial reporting topics. Her past experience includes teaching accounting at USD, working as an accountant with the South Dakota Investment Council, and serving as an auditor for a public accounting firm. Cathy has a master's of business administration from the University of South Dakota. She comes to us from the University of Sioux Falls and Southeast Technical Institute, where she was adjunct faculty.